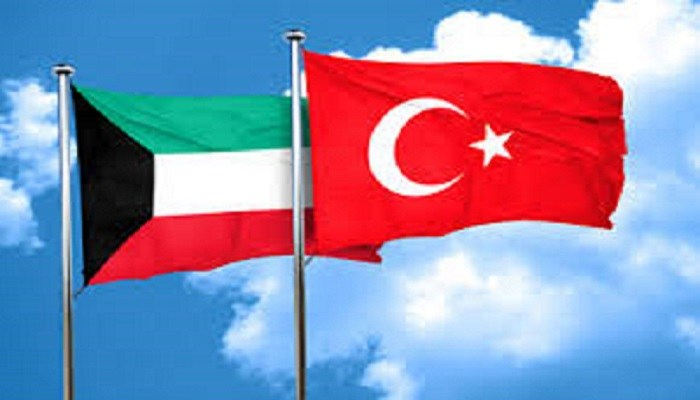 Turkey and Kuwait have signed a joint defense plan for 2019 aimed at enhancing military cooperation between the two countries, Kuwait's official KUNA news agency reported yesterday. The arrangement calls for the exchange of experience and know-how with a view to enhancing military coordination. According to KUNA, the agreement was signed by top military officials from both countries. The KUNA report added that Kuwaiti Army said in a press release that the deal was signed with aim of pursuing joint coordination "for accomplishing harmony, sharing experience and unifying efforts." On Oct. 9 and 10, a Turkish-Kuwaiti Cooperation Committee held a series of meetings in Kuwait City. Bilateral relations between the two countries have been strengthened in recent years with deals in several realms, including economic, trade, defense and political areas. President Recep Tayyip Erdoğan paid an official visit to Kuwait last year, he discussed the improvement of bilateral economic ties in addition to regional issues with Kuwaiti Emir Sheikh Sabah al-Ahmad al-Jaber al-Sabah. The two leaders witnessed the signing of a memorandum of understanding (MoU) for incentives on direct investment and cooperation protocols on science and technology. At the time, the two leaders had also discussed the crisis between the Saudi Arabia-led axis and Qatar and steps that need to be taken to resolve it peacefully. Kuwait leader had said that the region is going through a critical period due to the sanctions imposed on Qatar by Saudi-led group of countries and that Erdoğan's visit is significant for the future of the region. Meanwhile, Marzouq al-Ghanim, speaker of the Kuwaiti Parliament, said on Wednesday that recent attacks on Turkish economy will provide no results. Al-Ghanim was in Turkey to attend a meeting hosted by Turkish Parliament Speaker Binali Yıldırım in southern resort town of Antalya. "There are those who are openly targeting Turkey and attempting to impose conditions on Turkey. We tell those who are declaring an economic war on Turkey and want Turkey to have an economic downturn: You will not succeed," al-Ghanim was quoted by Anadolu Agency (AA) as saying.